With so much need in this world, it’s no wonder that many good-hearted people want to do what they can to help. Some folks volunteer their time and talent, but not everyone can do that. Others donate clothing, food, and supplies, but there’s always the problem of getting the goods to the people who need them most. Giving money, then, becomes one of the most effective ways of helping our fellow humans. Money can be allocated for specific purposes and used to quickly respond to emergencies. Financial donations build and operate shelters, buy and serve food, provide essential transportation, and purchase and distribute medicine. There are thousands of charities that act as conduits for our generosity. And most of them do an honest, efficient job. But after the tragedy of Hurricane Katrina, there were multiple accounts of fraud and mismanagement of charitable contributions. Individual and institutional donors became more cautious about which charities to support. The Federal Trade Commission (FTC) and the IRS warned potential donors about attempts at charitable fraud in the wake of Hurricane Harvey. There were more such warnings after Hurricane Maria. Deception and fraud are commonplace after major natural disasters, particularly because swindlers look to profit from other people’s compassion and their unfamiliarity with how charities operate. Fortunately, there’s an organization that helps ensure that kind-hearted people can donate money to the many honest charities that do good work and are scrupulous about their finances. This is where Give.org comes in. Give.org is the website for the BBB Wise Giving Alliance (WGA), an organization dedicated to evaluating national charities and reporting on their practices. Just as the Better Business Bureau focuses on consumer protection and industry self-regulation, the Wise Giving Alliance performs the same function for charitable organizations. They do the research and compile the data so donors can make informed decisions when selecting a charity to support. And they promote high standards of conduct for charitable organizations. Local Better Business Bureaus similarly report on regional charities. According to Giving USA, Americans contributed over $400 billion to charities in 2017, the first time ever the $400 billion threshold was crossed and an increase of 5.2 percent over 2016 donations. These donations cover the whole spectrum of causes, from religious (by far the highest amount of charity received, with an estimated $127.37 billion) to environmental and animal organizations (the lowest at $11.83 billion). When such sums of money are involved, it’s imperative to consider where the cash is going and how it’s used. But most people don’t really want to deep dive into research on charities. It’s the detachment inherent in simply writing a check that leads to misgivings and contributions to less-than-reputable organizations. To encourage sound charity practices, the Wise Giving Alliance established 20 Standards for Charity Accountability that became the foundation of a comprehensive accreditation process. The WGA codified the principles of charity administration and called for charities to voluntarily adhere to them. This voluntary accreditation process soon became the model for effective charitable monitoring and review. It can be difficult to determine which charities are worthwhile and reliable. Donors want to trust that their hard-earned money is going to be spent wisely and in a manner that benefits their chosen cause. By establishing a set of transparent guidelines for good practices and encouraging charities to willingly participate in enforcing them, Give.org provides donors with a sense of how organizations are administered and how their funds are utilized. A spark is struck in all of us when we confront someone’s hardship or need. That spark makes us automatically react in compassionate ways that stem not only from our sense of morality or our pre-conditioned responses, but as a genuine feeling, an empathetic response. There’s no need to let that spark die out because of confusion, doubt, or reluctance. The focus of the donor should be on picking a cause and donating. By doing all the grunt work, Give.org facilitates the process of philanthropy, giving donors the peace of mind they’re looking for. This article has been edited for length; view it in its entirety here. 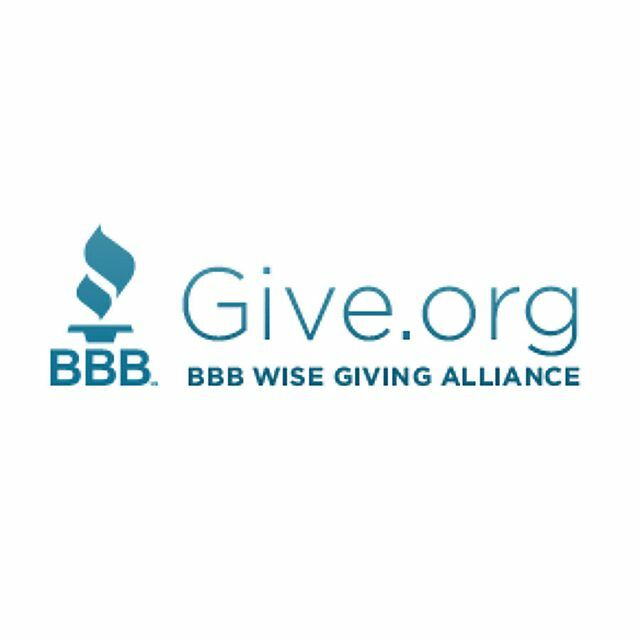 Give.org is the website of the BBB Wise Giving Alliance. The Alliance helps donors make informed giving decisions and promotes high standards of conduct among organizations that solicit contributions from the public. It produces reports about national charities, evaluating them against comprehensive Standards for Charity Accountability, and publishes a magazine, the Wise Giving Guide, three times a year.